Just over a month ago, Miami Music Week kicked off. As usual, one of the world's biggest DJs, Laidback Luke, was there to represent himself, his Super You & Me concept, and his record label Mixmash. The week began with a Super You & Me party at Story with a superstar line-up. The likes of Sander van Doorn, DVBBS and of course, Laidback Luke showed their skills. Two days later, Luke held his legendary Mixmash Pool Party at the National Hotel, featuring an incredible roster of performing artists. To finish off Miami Music Week, Luke played a set at Ultra Music Festival's Worldwide Stage, dazzling fans from all over the world in typical Laidback Luke fashion. To relive all of these incredible events, head on over to Laidback Luke’s YouTube channel and check out the official aftermovie that was created around his week in Miami. Or you can see the man himself at Opera tonight. 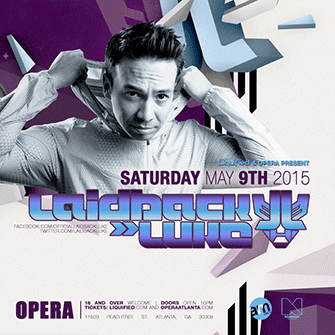 Tickets are still available for Laidback Luke's return to Atlanta.